We know that with globalization we can access different markets more easily, and this is facilitated even more in the services of development, support or consulting, which day to day are more frequent to be offered remotely in order to reduce transport costs and travel expenses to the final client. To provide quality services in other markets or for other clients (different from local ones) it is vitally important to master one or more languages, particularly English, bearing in mind that this language has become very important in communications around the world, and that it is the language that currently allows to break down barriers and establish communication with a large number of people from different nationalities. 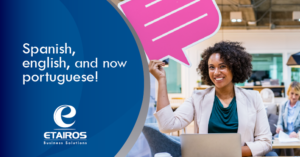 At Etairos, we have been providing some of our services in English for approximately 6 years, reducing communication barriers and providing satisfaction for the services offered to our clients. This has allowed us to build solid relationships with companies in different parts of the world, thus expanding our vision and knowledge. Additionally, by visualizing the important market share that Brazil has in the Latin American economy, at Etarios we have now started with our work team the learning of Portuguese in order to satisfy some requests received from that country. 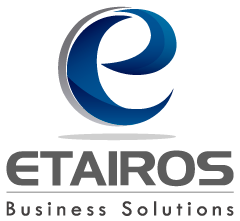 At Etairos we work day by day to satisfy the needs and requirements of our clients, do not hesitate to contact us.